Potential Energy For Kids | Cool Kid Facts . Energy is the ability to do word or cause change and there are two kinds of energy – kinetic energy when something is moving and potential energy that is stored and ready to be used. All objects have potential energy or stored energy if they are placed in a certain position. For example, if an egg is teetering on a spoon held above the ground, it has potential energy because it could fall. If the egg were in a carton and safely put in the fridge, the egg would not have potential energy. If an arrow is placed in a bow and the string is pulled back as far as it can go, the arrow has potential energy. If the arrow is left on the ground, it has no potential energy. How potential energy is stored depends on whether it is chemical, electrical, or physical energy. Potential energy remains stored until the situation changes and the energy is released. When an object is safe from being changed, it is said to be in its equilibrium position and it has no potential energy. There are various kinds of potential energy but the most commonly referred to in physics are gravitational potential energy and elastic potential energy. This is the stored energy in an object according to its vertical position or height. Gravity is acting on the object and this energy depends on the size of the object and the height of the object. Two things cause the potential energy to change – increase or decrease. The larger the object (the greater the mass) the greater the potential energy. The greater the height the object is above ground, the greater the potential energy. If a baseball is held 5 feet above the ground, it has a certain amount of potential energy. But if a bowling ball is held 5 feet above the ground, it has more potential energy than the baseball. If two bowling balls weighing the same and one is held 3 feet above the ground and the other is held 10 feet above the ground, which one has more potential energy? Yes, of course, the one that is highest above the ground. This is the energy stored in a thing that has elasticity, in other words it can stretch and compress. Balloons, rubber bands, bungees, and trampolines all have elastic potential energy. The amount of stretch determines the amount of elastic potential energy – greater the stretch, the greater the amount of elastic potential energy. There’s a special law that pertains to springs. It is Hooke’s Law that says if a spring is not stretched and it is not compressed, then it does not have any elastic potential energy. It is at an equilibrium position. This is the position it has when no force is acted on it. It just sits there and does not move. Springs have a special way of storing elastic potential energy. Some force is needed to compress the spring and when the force is removed, it bounces back to its equilibrium position. What are two kinds of energy? Does a book lying on the floor have potential energy? What does gravitational energy depend on? Which has greater potential energy: a marshmallow held 5 feet above the ground or a stapler held 5 feet above the ground? 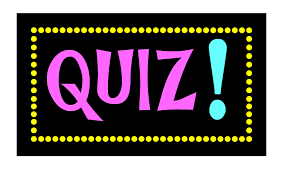 Name two things not in the article that have elastic potential energy. Energy is either kinetic or potential. No, it is in equilibrium and has no potential energy. 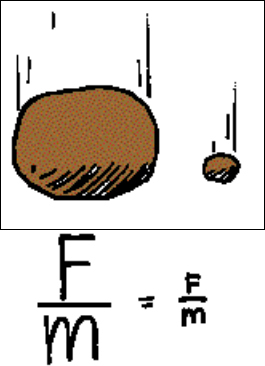 Gravitational energy depends on the size and height of the object. The stapler has greater potential energy. A balloon blown up and a pogo stick.